From the attachment section, tap Kanvas. Windows devices have an additional Video icon, which is to attach videos from the Gallery. 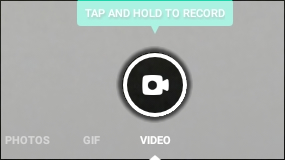 Aim the camera then tap and hold the Record icon to start recording. Remove finger from the video icon when done recording to stop. To re-record the video, tap the Back icon then repeat step 2. A quick succession of pictures will be taken. 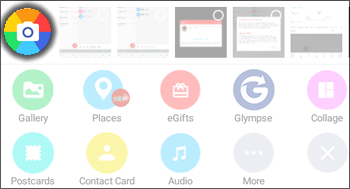 To re-record the GIF, tap the Back icon then repeat step 1.